Loki, a Malamute, presented to MVS when he was just 8 week old. He was adopted shortly before Christmas into a very loving home. Following his adoption, Loki wasn’t eating well and was very lethargic. He was evaluated by his family veterinarian where he was diagnosed with severe anemia secondary to a large hookworm infection. His red blood cell count was so low he needed immediate medical attention. Loki was referred to MVS for a blood transfusion and monitoring. Loki received a whole blood transfusion from one of our wonderful life-saving blood donors. He did so well following the transfusion that he was released from the hospital the next day! In addition to the blood transfusion, Loki also was treated with a broad-spectrum deworming medication. The combination of treatments resulted in a full recovery! Today, Loki is a handsome, happy and healthy adult who loves going on adventures with his dad. 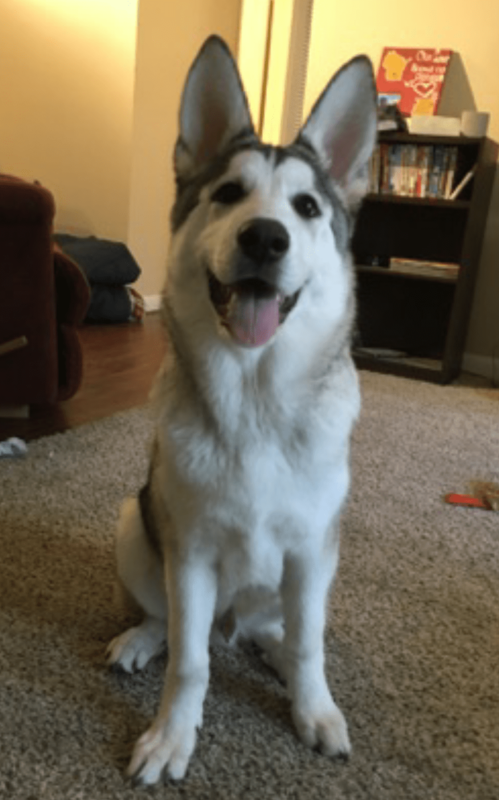 Loki and his owners follow up frequently with their family veterinarian, who keep us updated on how he is doing. We love having such close relationships with the family veterinarians who refer to us. Loki’s case was a perfect example of the collaboration we strive to have with family veterinarians to make sure our patients get the best care possible. Look how happy Loki is now! Madison Veterinary Specialists, S.C. (MVS), would like to add a board certified or residency trained small animal internal medicine clinician to our team! MVS is an independently-owned and AAHA-accredited specialty and emergency hospital. We are a leading, rapidly-growing, 24-hour provider of small animal emergency and specialty services. MVS is currently providing emergency, internal medicine, surgery, ophthalmology, and oncology services. We offer an exciting, collaborative and fulfilling work environment with a flexible schedule to allow for a balanced quality of life. Madison – Wisconsin’s capital city with a population of approximately 208K (over 1 million in the greater metro area) – offers the perfect combination of natural beauty, stimulating cultural offerings, outdoor recreation and distinctive restaurants, shops and nightlife. The city is also home to the University of Wisconsin where MVS enjoys a strong collaborative relationship with the UW School of Veterinary Medicine. MVS offers competitive compensation and benefits (including medical insurance, AD&D, and LTD, CE allowance, paid vacation and CE days, matching 401k, membership dues and license fees); base salary commensurate with experience. Please click apply now below to submit your resume to our Hospital Administrator, Barbara Janiak (bjaniak@mvsvets.com / 608-274-7772). To discuss the position further prior to applying, contact Dr. Julia Bates at 1-608-210-4287. Your confidentiality will be respected. 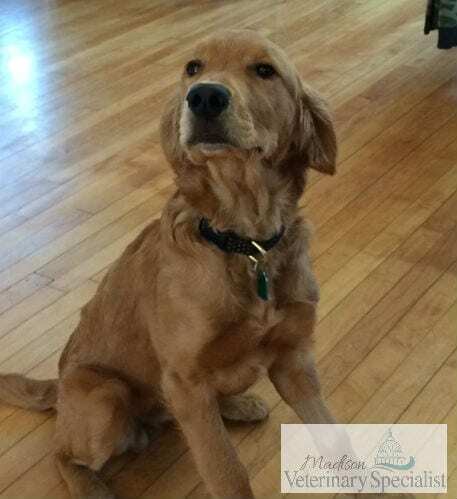 Madison Veterinary Specialists, S.C. (MVS), wants to add an experienced emergency veterinarian to our team! MVS is an independently-owned and AAHA-accredited specialty and emergency hospital. We are a leading, rapidly-growing, 24-hour provider of small animal emergency and specialty services. MVS is currently providing emergency, internal medicine, surgery, ophthalmology, and oncology services. We offer an exciting, collaborative and fulfilling work environment with a flexible schedule to allow for a balanced quality of life. Bogey, a 7 year old German Short Haired Pointer, presented to the Internal Medicine Department at MVS after battling with a cough and fever for months. Bogie had always been an incredibly healthy and active hunting dog, who enjoyed running through fields of wheat with his family. His owners were crushed at watching his cough and fever make it difficult for him to run and enjoy his everyday life. Prior to coming into MVS, Bogie was prescribed multiple rounds of antibiotics which would temporarily improve his condition but his nagging cough would always come back shortly after discontinuing the antibiotics. Looking for advice on how to help with this conundrum Bogie’s family veterinarian reached out to MVS and Dr. Bates. After discussing the case and looking at Bogie’s chest x-rays, Dr. Bates was suspicious that something peculiar was happening in one of Bogie’s lung lobes. Dr. Bates recommended using an endoscope to better visualize the inside of Bogies Lungs. This involved him undergoing general anesthesia while Dr. Bates and her team of technicians inserted a camera through Bogie’s trachea and into his lungs. To everyone’s surprise and amazement they saw the culprit of Bogies discomfort, he had a wheat berry embedded in his lung! 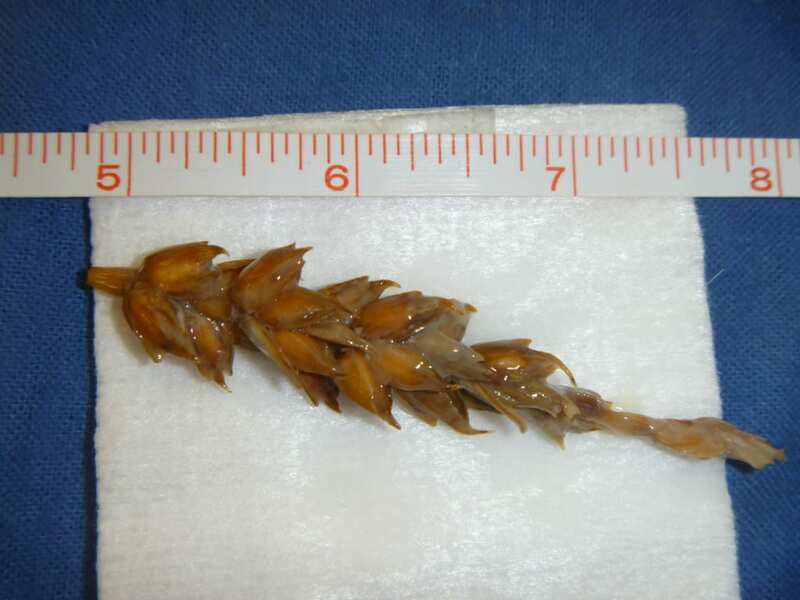 The severe infection present prevented proper visualization of his airway, which raised concerned that plant material may have been left behind. 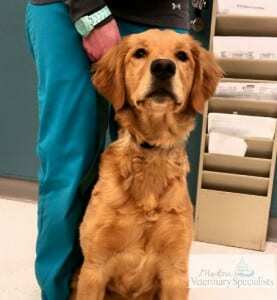 Once the secondary infection from having foreign material in his lungs was cleared up, Dr. Bates and her team were able to remove an entire stalk of wheat from Bogie’s lung lobe, once again using their endoscope. Bogie recovered well from the entire ordeal and is now back to frolicking through the fields of Wisconsin with out a care in the world! Actual stalk of wheat removed from Bogeys left lung lobe! Copper, a 12 week old golden retriever puppy, presented to Madison Veterinary Specialists’ Internal Medicine Department after her family noticed that her gums would not stopped bleeding after loosing a few puppy teeth. Copper had previously been a very healthy and active puppy who occasionally used snowbanks to escape from her fenced yard. Copper’s family noticed that she lost a couple of teeth the night before while playing with her toys; something very normal for a puppy her age. They were however immediately concerned when the bleeding did not stop and Copper became weak, unable to walk and even hold her head up. Dr. Bates was able to quickly determine that Copper’s blood was not able to clot even though she had a normal number of platelets. Platelets are small cells in blood which bind together to form clots thus preventing bleeding. Using MVS’s in house blood analyzers Dr. Bates quickly found that Copper was suffering from an anticoagulant rodenticide toxicity. Copper was administered a life saving blood plasma transfusion just in the nick of time. Shortly after arriving at MVS she started to bleed into her brain; she was in a coma-like state and in grave danger of not surviving. The team at MVS was able to stop the bleeding right before significant permanent brain damage occurred. 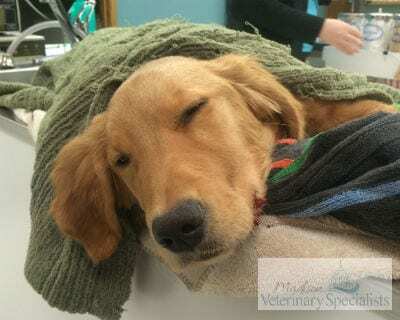 Copper remained hospitalized at MVS receiving Vitamin K (the antidote for anticoagulant rodenticide) and 24 hour care. The amazing team at MVS worked tirelessly to help Copper recuperate, holding her in their arms and spoon feeding her meat flavored baby food until she could sit-up and eat on her own. Copper not only survived this ordeal, but she was able to to return to her family and the carefree playful life of a puppy. We see stories like Copper’s all too often, but due to the generosity of our blood donors, we are able to have life-saving transfusions available resulting in many successful and happy outcomes. Please visit our blood bank page to learn how your own dog can save lives like Copper. Copper right before her transfusion was initiated. Copper feeling better and visiting everyone at MVS! Copper happy and wiggly at home!